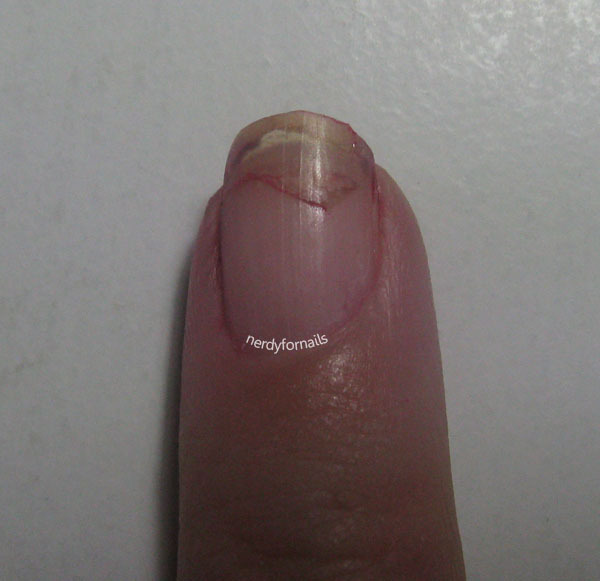 The worst broken nail I've ever had: behold it in all its horrific glory. I knew I was tempting fate keeping my nails so long. They're pretty strong up until a certain point, but too long and the breakage starts. I had torn a different nail the day before (not too badly) and had tried out the tea bag trick to patch it up. That was holding up pretty well, but I knew I needed to cut them soon. On my drive home from work I decided that I would cut them as soon as I got home to prevent any further damage. So of course as I was getting out of my car I somehow accidentally jammed my nail into the car roof and almost tore it half off. Oh yikes that looks painful (physically and emotionally!) my condolences! that looks painful! I had a similar break not long back and more than anything I was emotional cause it took so long to grow that long! You guys are so right about the emotional part. It's funny how attached we can get to our nails. 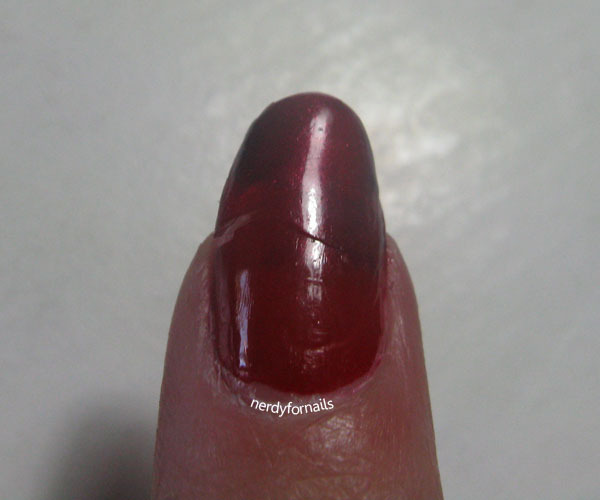 So many times i have also broken my nails like this so i take extra care of it.